Belkin Finally Releases Thunderbolt Express Dock – Available Now for $299. Well over a year after first announcing the product at CES in 2012, Belkin has finally released their Thunderbolt Express dock, available now for $299. The dock includes Gigabit Ethernet, a FireWire 800 port, an extra Thunderbolt port, audio in and out jacks, and more, totaling 8 usable ports. The Belkin Thunderbolt™ Express Dock is an easy, powerful way to take advantage of Thunderbolt™ technology. The Thunderbolt™ Express Dock lets you use a single connection to create high-speed, reliable transfers between your laptop and up to eight other devices, including FireWire, Ethernet, USB, and daisy chaining multiple Thunderbolt™ devices. So taking your laptop when you go, and bringing it home when you return means connecting with only one cable. I’ve been waiting for this dock to finally hit the market for a long time – and I can’t wait to get my hands on a review unit! Watch for a full, detailed review within the coming weeks! The Belkin Thunderbolt Express Dock is available now direct from Belkin. Similar docks have previous been released from a number of manufacturers – including the Matrox DS1, which is available now, and forthcoming docks from both CalDigit and Sonnet. For more info, or to purchase, visit Belkin’s product page on the web! 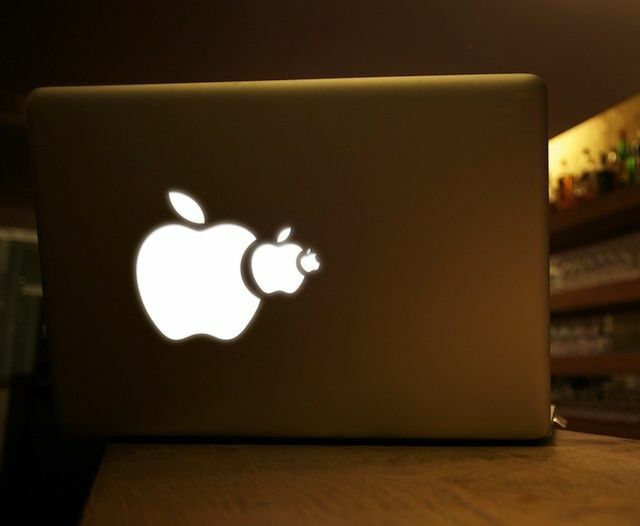 These Laser-Cut MacBook Lids Will Take Your Mac Décor To An All New Level. 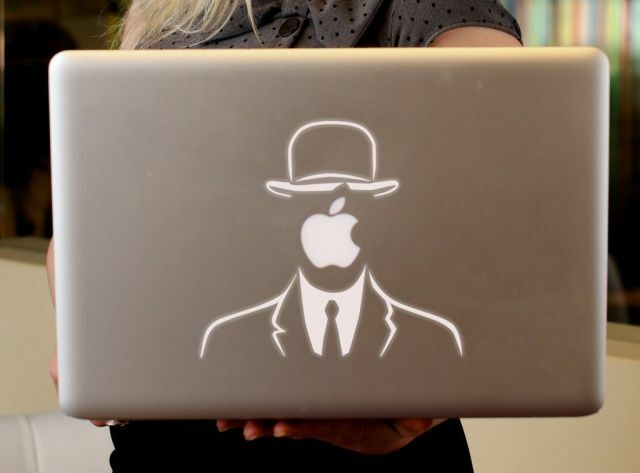 Putting a sweet decal on your MacBook’s lid is cool and all, but if you’re looking to take things to another level with your MacBook decorating skills, maybe you you should try cutting some artwork into it with a laser. 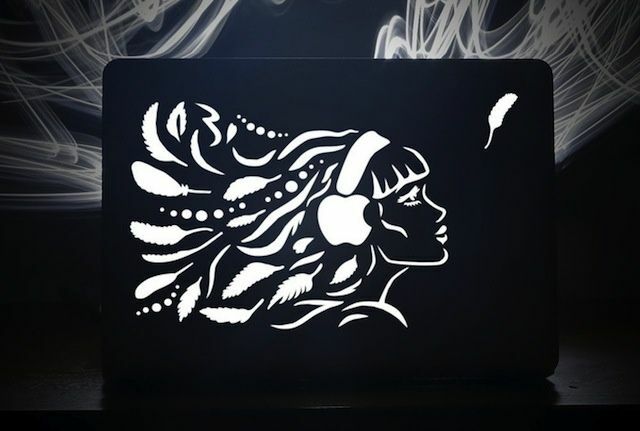 The process of laser cutting artwork into your MacBook’s lid isn’t easy, but the people over at Uncover will do it for you. You can get almost any design cut into your MacBook, but Uncover requires that you send in your MacBook to be beautified, or just buy a new one through them so they can customize it before sending it out to you. The results are pretty stunning, and it will definitely help you stand out at a college or your next IT conference. 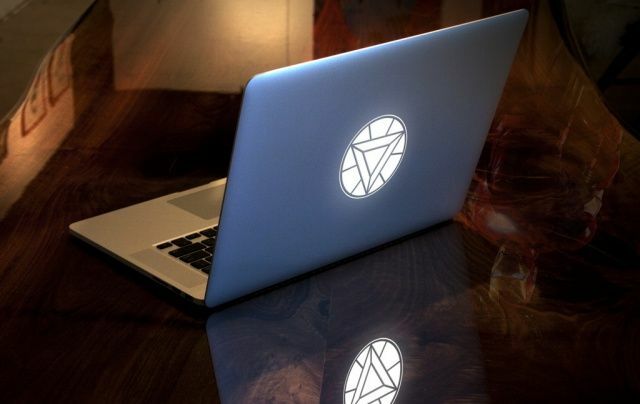 Uncover says they can modify both MacBook Pros and MacBooks Airs. Unfortunately, laser cutting isn’t cheap. Some of the simple designs will only set you back $260, while more complicated procedures demand up to $780. 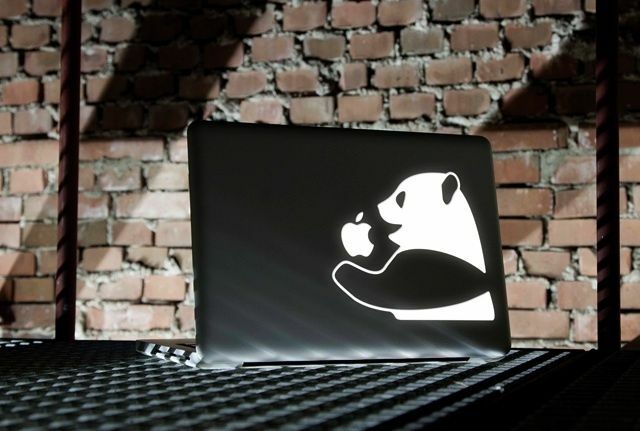 Whatever you decide to go with, you better love it for the rest of your MacBook’s life because there’s no going back once you’ve cut your lid with lasers. Rumor: iOS 7 will have a “very flat” new look. According to the rumor mill today, a few people that have gotten either a quick hands on with the new operating system or have been briefed on its direction have said that the new design scheme will be “very, very flat.” However, it at the same time is said to keep a certain level of familiarity that will not confuse users when the update drops assumedly around the launch of the next iPhone. This is good, because it isn’t a completely new OS that most people want, just one that takes away the ever-controversial skeumorphism – or the use of life-like design schemes in software. Skeumorphic design schemes have been used for quite awhile in software, and most notably in iOS and OS X. Applications such as Game Center, Notes, Calendar, and Contacts are always the ones brought up in the conversation. From the leather stitching of Calendar, to the green felt background of Game Center, you can see the effects that skeumorphism has had on Apple design. However, with Jony Ive at the helm of iOS, we could finally see something different. I personally love the “flat” interface, such as the one used in today’s launch of Google Now. But that is my opinion, some people think otherwise. Skeumorphism is used to try and make software seem “friendly and familiar” to users, but nowadays it is outdated. I can guarantee my 8 year old brother has no idea why the Notes app has yellow “paper” with a leather top, or why the Contacts app looks like a leather book. Apple to Officially Drop Support for Original iPhone on June 11, 2013. Apple’s original iPhone – the device that reshaped the smartphone market forever – is about to officially be declared obsolete at Apple Retail Stores, 6 years after it burst onto the scene at Macworld in 2007. Starting June 11, 2013, Apple will officially drop support for the device at Apple Stores, meaning that Apple Stores will no longer repair or replace devices, even at customer cost, when that day finally arrives. 9to5Mac first reported the news, which was revealed through a leaked memo, and it shouldn’t come as much of a surprise. Apple products typically have a support life span of between 5 and 7 years before Apple officially stops offering support for them – and the original iPhone certainly isn’t the fresh new mobile sensation that it once was. The memo also notes that the iPhone isn’t alone in being discontinued on June 11 – the original Mac Pro, mid-2007 iMacs, and the late 2006 Xserve will also be declared obsolete on the same date. If you still have an original iPhone, you’d better hope it doesn’t break after June 11 – or you may have a challenge finding anyone willing (or able) to repair it! BOOM is generally good at picking very descriptive names for their products, but thankfully the Urchin’s name is more suggestive than realistic. This portable Bluetooth speaker is evocative of the shape of a sea urchin (sort of a coherent blob, or like a well shaped river stone), but instead of sharp spines for protection it features a ruggedized construction and removable silicone outer skin to protect it from bumps, drops, and water. Packing two speakers and a mic, it’s a great option for sound and the occasional conference call on the go, and it features a handy trio of accessories that let you clip it, stick it, or hang it just about anywhere. The Urchin is is all about big sound, though its resistant design does force some tradeoffs. There are two high quality speakers packed into this little enclosure, but the ruggedized construction and silicone skin mean no bass ports or venting. This dual-speaker setup ensures plenty of power in a tiny package; to test out the water resistance I slapped the Urchin on the wall of my shower—it was easily loud enough to drown out my singing (for which I’m sure my neighbors gave thanks). Overall, the Urchin’s bass is slightly weak, but present. It’s not necessarily dance party inspiring, but not completely missing like laptop speakers. Mids are bright but not brash, while treble reproduction is clear but not overbearing. High quality speakers involve very delicate components that don’t mix well with water, dust, or the abuse of an active lifestyle; despite this, BOOM has still managed to finesse a well-balanced overall sound. I have a feeling that absolute audio purists probably don’t take their speakers to the places BOOM designed the Urchin to go. And boldly going just happens to be one of the Urchin’s strengths. The Urchin is part of BOOM’s R4A (Ready 4 Anything) series, and its rugged construction means you can take great sound with you just about anywhere. To help you out, BOOM has included three accessories that let you bring along your beats. Frst up is the loop built into the silicone skin, which lets you attach the included carabiner (or one of your own) for hooking onto just about anything. The included carabiner is pretty small, so BYO if you intend to latch onto something like a bike frame. The skin’s loop is also a mount for the suction-cup peg that’s included; just stick the suction cup on any smooth surface, then slide the loop onto the peg for an easily moveable vertical mount. Want to mount your Urchin somewhere that doesn’t accommodate a suction cup? No problem! The back of the Urchin features a threaded mount that matches a self-adhesive screw mount disk. Just attach the disk to any surface (in virtually any position), and you can attach your Urchin anywhere you need music. As a testament to the level of design BOOM invests in their products, there’s a protector that you can screw in to keep dust out of the threads on the bottom of the Urchin; when in place, this protector completes the joined O’s in BOOM’s logo. The screw threads are even the right size for most tripod mounts, so if you have something like a Gorrillapod, you can really get crazy (or just make some desk art, your choice). BOOM advertises up to eight hours of battery life for the Urchin’s built-in rechargeable battery, but in testing I easily got to 10 hours. Charging is via the included micro USB cable, and the Urchin’s helpful audio feedback (which is best described as “splunks” and “sploit,” for you fans of onomatopoeia) lets you know when the device has been paired or needs to be recharged. Pairing and Bluetooth controls are both simple, and the Urchin’s included microphone allows you to turn it into a pretty funky teleconference solution. The built-in controls function the same as a headphone remote to answer/end calls, though sadly there is no Siri integration. Overall, the BOOM Urchin offers a great set of speakers that perform well no matter where you take them. If you want speakers that you can clip onto a backpack, belt loop, or bike frame, there aren’t many options that sound this good and can withstand environmental stresses like mud splatters or being dropped onto concrete. Messier activities are even a breeze to clean up, as you can pop the silicone skin off, wash it, then keep on going. OS X 10.9 “Cabernet” to take more features from iOS. Rumors today are suggesting that the next OS X update, 10.9 “Cabernet” will borrow various features from iOS, including a “power-user” enhancement, in what is likely to be a tweak update rather than an operating system overhaul. OS X 10.9 will feature major enhancements to its Finder feature, such as tags and tabbed browsing. There will also be a new Safari web browser, with a reconfigured backend to speed up page loading. According to 9to5 Mac, OS X 10.9 will focus more on “system fundamentals”, rather than the more feature-adding focused Mountain Lion update. Reports last year had suggested that OS X 10.9 would feature full Siri functionality, although whether that will become a reality remains unclear. One other feature speculated over is improvements to multiple monitor setups, which currently do not allow full screen apps to run on multiple displays. Apple has acknowledged this downfall in the current OS X, but again, the full scale of Apple’s attempt at addressing the problem is yet to be established. OS X 10.9 is predicted for a summer release, and will be announced alongside iOS 7 at WWDC in June. Numbers from research group Informa show that for the first time, messages sent via chat-apps has overtaken SMS messages. The figures show that in 2012, almost 19 billion messages were sent via chat apps, whilst only 17.6 billion texts were sent. Whilst Informa claims that there’s still a lot of life in texting, it is predicted that by 2014 chat apps will process nearly 50 billion messages a day, whilst only 21 billion text messages will be sent a day. Because the majority of chat app users are smartphone owners, the number of chat app users is increasing along with the smartphone market, however the majority of customers still don’t have the kind of data plans that make messaging via chat apps a viable alternative to texting, and so whilst the margin will continue to widen, text messages will still remain a key part of the mobile user experience.